Enjoy amazing panoramic ocean, coastline, hills and city lights from this spacious home offering 2069 square feet 3 bedrooms with 2 baths. Enter through the beautiful sculptured glass doors to this lovely home with bright living room and high ceilings, cozy gas fireplace, built-in cabinetry and patio deck with incredible views! The remodeled kitchen offers granite counter tops, stainless steel appliances, breakfast nook with built-in cabinets and custom bench seating. There is a bonus / family room with built-in cabinetry, kitchenette with center island, granite counter tops, built-in refrigerator and access to private balcony with more amazing views. The master bedroom and secondary bedroom have access to the large grassy yard. Additional tasteful upgrades include remodeled baths, French doors, Plantation shutters, tile flooring, teak doors, recessed lighting and mirror wardrobes. 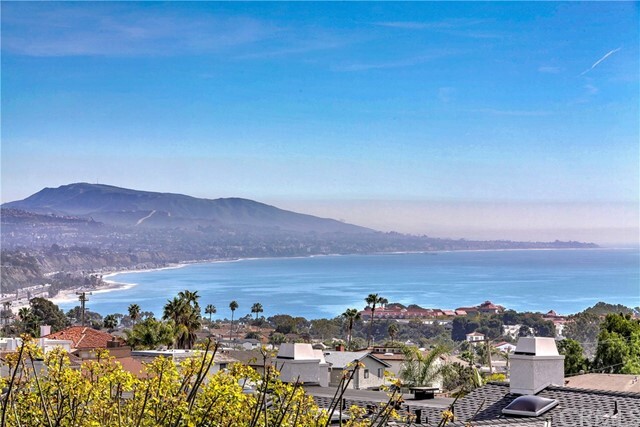 Located close to Dana Point Harbor and Doheny Beach and Southern California finest beaches. Enjoy a short walk to wonderful restaurants and quaint shopping. Keller Forsyth Group, eXp Realty of California, Inc.